Aktion/Preveza National Airport – Car Rental is an airport serving Preveza and Lefkada in Greece. It is also known as Lefkada Airport or as Preveza Airport. The airport commenced operations in 1968. 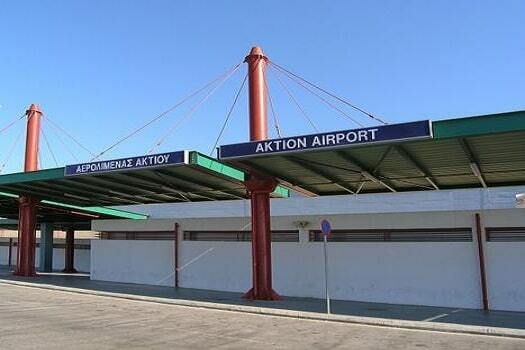 The Aktion Airport (PVK) is located 4 km from Preveza. And also 25 km from Lefkada and 383km from Athens. If you are coming from abroad, you should check for flights to Aktion during spring, summer and autumn season. At winter there are domestic flights to and from Athens. First of all, you will find all in one price from 21€ per day. PBG Limitless has another benefits. But, Furthermore including many services at the price of the rental. Seems like you will find many reason for why you should book your rental car with us. and finally you can get even more from our early booking offers. As simple as that: We always do the very best price if you book early from 3 – 6 months before. First: only us we give the Full insurance without extra cost. Second: Early booking for PBG Limitless meens 30% Discount. Third : Free VIP service at the Airport, no at all you will waiting at the line. Fourth: You will find Cheap & Economy Rental with 100% Guarantee. Even more can you save with us! 99% from the cheaper car rental until to the most lyxury car rental. Why to book your rental car with us? We are Farthermore 100% cheaper. As a result 30% you will save more in contrast with another rent a car in the Area. Above all you are covered 100% and that is unique. Almost 41% of the customer book early and get even more. Due to Early booking offers by PBG Limitless. Drive me in Aktion Airport (PVK) Maps.